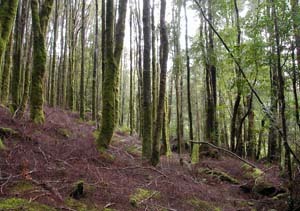 Nothofagus cunninghamii (Myrtle) is the dominant tree species of most of Tasmania's rainforest. 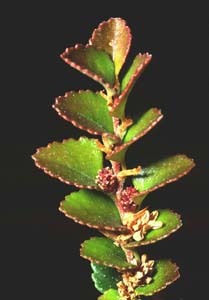 Its leaves are small (<2 cm long) more or less serrate in almost all specimens, and are dark green, usually with numerous glands appearing as small dots. 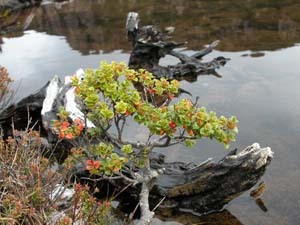 It ranges from a large rainforest tree, up to 40 m tall and more than 2m in diameter, to a small alpine shrub.